The 24th Session of UN Human Rights Council (in session 9-27 Sept 2013) in Geneva, Switzerland released previously confidential documents outlining how five United Nations Human Rights Council Experts/Mechanisms have intervened in a Letter of Allegation to the Thai Government on the Criminal Prosecution of Mr. Andy Hall by Natural Fruit Company. The next hearing in the criminal case of Natural Fruit Company vs. Andy Hall will take place on Friday 13th September at 9am in Court 501 at the Southern Bangkok Criminal Court. Summary of the Allegation Transmitted: Alleged criminal charges brought against a human rights defender. According to the information received, criminal charges of broadcasting false statements have been brought against Mr. Andy Hall, a British citizen, based on a complaint by a fruit processing company. Mr. Hall was the leading researcher for a report published in January 2013 by the NGO Finnwatch, which detailed serious human rights violations by the fruit processing company in question with regard to work conditions and labour rights of migrant workers employed by the company. Mr. Hall personally conducted many of the interviews for the report and faces, in addition to the criminal charges, a private lawsuit by the company demanding 300 million Baht (or approx. 7.7 million EUR) in damages for defamation and damage to the company. Mr. Hall has worked as a researcher on labour and migrant rights in Thailand for over ten years, exposing numerous violations. 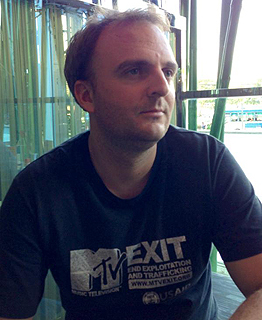 In a previously confidential letter of allegation dated 26th April 2013, delivered to the Thai Government and already replied to, the Government was asked by the Office of the United Nations High Commissioner for Human Rights (OHCHR) to respond to the following UN Human Rights Council Mechanisms/Mandates on the criminal prosecution cases against Andy Hall: (1) the Working Group on the issue of human rights and transnational corporations and other business enterprises; (2) the Special Rapporteur on the promotion and protection of the right to freedom of opinion and expression; (3) the Special Rapporteur on the situation of human rights defenders; (4) the Special Rapporteur on the human rights of migrants; and (5) the Special Rapporteur on trafficking in persons, especially women and children. The next hearing in the criminal case of Natural Fruit Company vs. Andy Hall is scheduled to take place on Friday 13th September at 9am in Court 501 at the Southern Bangkok Criminal Court.